I used to be a "Mopar or no car" guy. Thanks to the Dodge Journey, I'm now a Ford guy. The only things I like about this car is the color (white), the body style, and that it seats 7. Having a large family it is a necessity for each of them to have their own seat. The gas mileage is very poor for this Journey. It is a 3.5 litre V6 High Output motor. And it outputs a lot of fuel consumption. I average 11 miles a gallon in the city, and 13-15 miles per gallon on the highway. That's with the vehicle in tip-top condition. Oil change, tune-up, good tires, everything in proper condition. This car also blows fuses. More than I blow my top! Ridiculous! There are so many electrical issues that I have seriously thought of just giving this car away at times. I've had to replace every engine accessory part at least twice. The only reason I haven't gotten rid of the car is I won't get back all the money I've invested into it. I highly recommend not buying a Dodge Journey. Trust me! You're wallet, your nerves, and those around you will Thank You for it. My vehicle frequently doesn't start. There's nothing wrong with it, and the problem cannot be fixed. I have been told that occasionally the anti theft system will engage and will prevent the vehicle from starting. I have to try various things to get it to start, like opening the front door, shifting hard on the gear shift, etc. There's no one thing that seems to work. This is problematic as I have children, and in the winter and summer it can be a problem to be stranded somewhere without heat or air conditioning. It does drive well once started. It gets pretty good gas mileage, and I haven't had other problems with it. I guess the starting thing is just an issue with the 2009 model, too. This car is the most basic version of the car you can get. Brakes went out after normal wear and tear. Luckily I was able to hear the noises and get it into a mechanics shop before they went out while I was driving. I take good care of my car and change the oil when the mileage says too. Earlier this year the chain for the shifter broke and that was more of an ordeal as the mechanic had to come and break the chain in order to shift my car and take it straight to the dealer. Then the part was on backorder, so I went 2 weeks without a car. 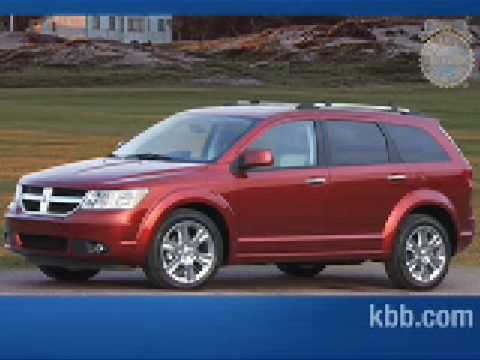 CHRYSLER IS RECALLING 16,835 MY 2009 DODGE JOURNEY EQUIPPED WITHOUT OPTIONAL 115 VOLT AUXILIARY POWER OUTLET. AN UNUSED ELECTRICAL CONNECTOR FOR THE OPTIONAL 115 VOLT AUXILIARY POWER OUTLET OPTION MAY BECOME CORRODED AND COULD SHORT CIRCUIT. DEALERS WILL RE-ROUTE AND STOW THE 115 VOLT AUXILIARY POWER OUTLET CONNECTOR AND PULL THE 25 AMP FUSE TO REMOVE POWER FROM THIS UNUSED CIRCUIT FREE OF CHARGE. THE RECALL IS EXPECTED TO BEGIN DURING MARCH 2009. OWNERS MAY CONTACT CHRYSLER AT 1-800-853-1403. CHRYSLER IS RECALLING 4,336 MY 2009 DODGE JOURNEY, JEEP GRAND CHEROKEE, COMMANDER AND WRANGLER VEHICLES. WIRING MAY BE REVERSED ON THE STEERING COLUMN CONTROL MODULE DRIVER AIRBAG SQUIB CONNECTOR. THE DRIVER'S AIRBAG MAY NOT DEPLOY AS INTENDED. CHRYSLER IS RECALLING CERTAIN MODEL YEAR 2009 DODGE JOURNEY VEHICLES MANUFACTURER FROM NOVEMBER 1, 2007, THROUGH SEPTEMBER 7, 2008. THE WIRES WITHIN THE FRONT DOOR WIRE HARNESSES MAY FATIGUE AND BREAK, WHICH CAN INTERRUPT THE CIRCUITS FOR THE SIDE IMPACT SENSOR(S), RESULTING IN AN AIRBAG WARNING LAMP ILLUMINATION AND LOSS OF SIDE CRASH SENSING CAPABILITY. CHRYSLER WILL NOTIFY OWNERS AND REPLACE THE LEFT AND RIGHT DOOR WIRING HARNESSES FREE OF CHARGE. THE SAFETY RECALL IS EXPECTED TO BEGIN DURING FEBRUARY 2011. OWNERS MAY CONTACT CHRYSLER AT 1-800-853-1403. DEALERS WILL INSPECT THE ENGINE WIRING HARNESS FOR DAMAGE. IF THE HARNESS IS DAMAGED, THE WIRING WILL BE REPAIRED AND A TIE WRAP INSTALLED TO SECURE THE HARNESS AWAY FROM THE LEFT TRANSAXLE MOUNT. IF NOT DAMAGE IS FOUND, A TIE WRAP WILL BE INSTALLED TO SECURE THE HARNESS AWAY FROM THE LEFT TRANSAXLE MOUNT. THE MANUFACTURER HAS NOT YET PROVIDED AN OWNER NOTIFICATION SCHEDULE FOR THIS CAMPAIGN. OWNERS MAY CONTACT CHRYSLER AT 1-800-853-1403.